Atuk is a screenplay written by Tod Carroll. 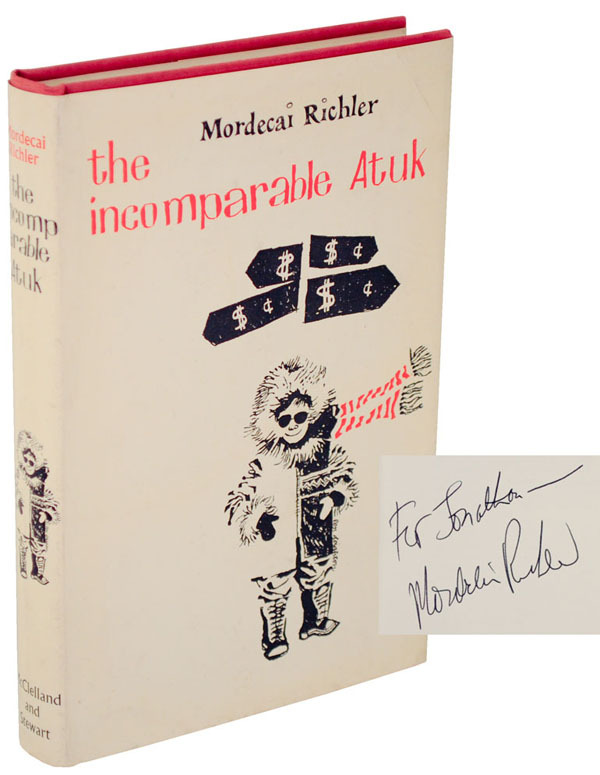 It is an adaption of the 1963 novel The Incomparable Atuk by Mordecai Richler about an Inuit hunter who tries to live in New York city, and has elements of racism, materialism and pop culture. John Belushi: Jim Belushi’s big brother and the first known victim. After reading the script and wanting to play the lead role, he died of an overdose in 1982. He was only 33. Sam Kinison: He survived the longestbecause he managed to film at least one scene for the movie, but then quickly grew dissatisfied and wanted the script rewritten, halting production. Before there were any talks about continuing the project, poor Kinison died in a car crash, aged 38, in 1992. Approximately a decade after Belushi’s death. John Candy: In 1994, when he was reading the script, Candy suddenly died of a heart attack, aged 43. Which was weird because it was on March 4, a day before the 12th anniversary of Belushi’s death. Around that time, people began to realize that the screenplay is cursed. Michael O’Donoghue: He was a writer, comedian, and a friend of Belushi and Kinison. He read the script, maybe even worked on it, before recommending it to his buddies. He died of cerebral hemorrhage at the age of 54 in 1994 also. Chris Farley: A huge fan of John Belushi and the most recent victim who was in consideration for the main role. In 1997, when he was about to accept the role, he died the same way his idol did: an overdose at the age of 33. Phil Hartman: Farley’s friend and former Saturday Night Live cast-mate. Although he was involved for a supporting role, his wife committed murder-suicide by shooting him in bed before shooting herself.